AReeve Motorsport sign rookie driver Will Fairclough. 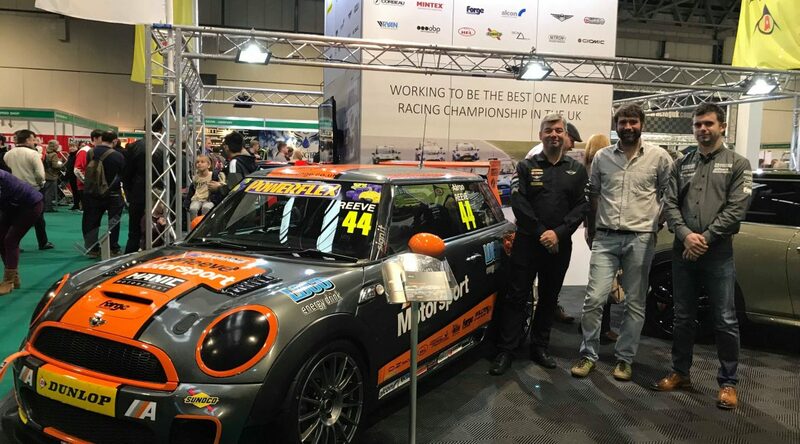 Will Fairclough, a Challenge Road car owner got the bug for racing after the corporate day he attended with Mini and Charlie Butler-Henderson in 2017 at Brands Hatch. Wishing to pursue a schoolboy dream, Will be racing in an R56 Challenge Race Car for the entire 2018 season. Being helped by our driver mentor programme, including driver instruction and helping Will settle into the racing community it will be an exciting time for both the team and driver. Fairclough Will be keeping a video diary and running a monthly feature in a well known MINI magazine with his progress throughout the season. The Open class is perfect for drivers that already have a racing MINI that wants to join the MINI CHALLENGE. MINI’s include: Ex CHALLENGE R53 & R56 variants, European specification cars, Track Day Trophy MINIs and SUPER COOPER Cup Cars. The class is managed by the power to weight and is limited to 180 per ton, meaning that equality can be achieved and maintained without excessive engine costs.